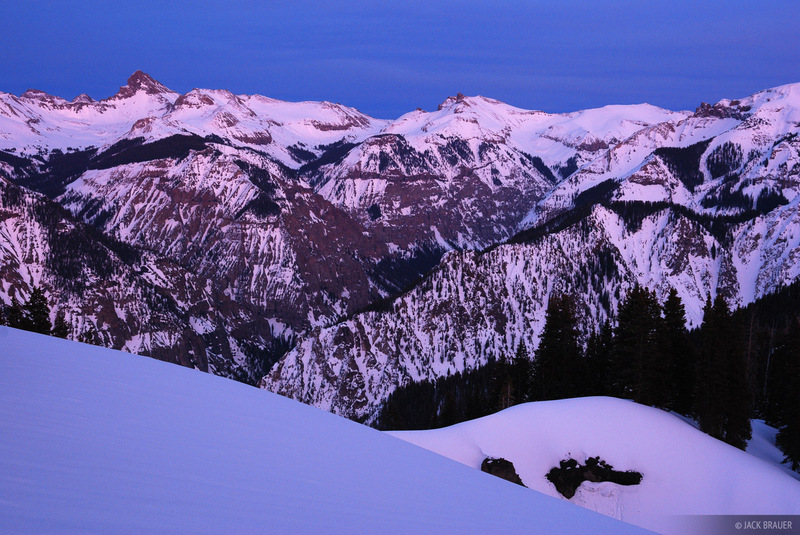 Wetterhorn Peak and other peaks of the Uncompahgre Wilderness as seen from above the Cow Creek valley - March. Behind me, to the west, a cloud layer was glowing brilliant pink from the last rays of the sunset, casting this surreal purple glow onto the entire mountain range. Photo © copyright by Jack Brauer.